Care to continue exploring the Romanian hopefuls, and Europe at the same time ? The next candidate comes originally from Sweden! When I'm good, as in when I'm feeling good on stage, I am fully present. It's having a strong connection with the audience, while at the same time not caring about what they think. When I'm on stage, and it's flowing, I feel the closest I will get to being a superhero. My favorite thing is when good unexpected things happen - it's like the song takes control and shows me where it's supposed to go. Suddenly a note grows way bigger than I thought it would, or a little "twang" comes out that I didn't anticipate. It's a really god feeling of joy and connection. I grew up with supportive parents who had their own business and two brothers who taught me what good music is, what humor is and about superheroes. But during school, the boisterous brave child I had been, turned shy. And even though I was social and often took on leadership in projects, when it came to music I didn't dare to really try. I started working professionally as a singer, as in being paid for it, when I was around 20. For almost 10 years, my career was erratic. Moments when I was on the brink of big success, then nothing. It felt like I tried everything but it never took off. The big turning point came when I moved to Budapest to study Hungarian (a long story) - I got brave. That led to a tour guiding job, where my first tour took me to Transylvania. 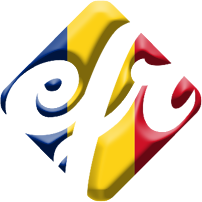 And I fell, head over heels, for this country called Romania. Interesting enough, my musical career, that was sort of okay before, expanded in a rapid pace alongside with my tour guiding gig. I was happier. And the happier I got, the more opportunities came. I was having coffee with a friend recently, when she said: "what took you so long? We all knew you could be this amazing singer, but we thought you didn't want it"
It was a big aha. During my twenties I resisted opportunities. I said no to jobs, to auditions, to collaborations. Or those times I said yes, I underplayed my success. When someone is mean. Being mean or judgemental, especially towards those who cannot defend themselves - that's things that I don't like. Coffee and smiles. Optimism and cheerfulness makes me happy. And silliness! Be silly, be less cool. People who dare to be silly, they make me happy. Varied. What the songs I like have in common is that they make me feel good. Even if they make me cry, it's a good cry. The more I've travelled (I spend more than half the year on the road in Eastern Europe) the more I've been into finding good music from these countries, in their native tongue. I'm obsessed by the Moldovans of Carla's Dreams, there's a couple of Polish artists that make my heart swell (even though that has to be Europe's trickiest language by far!) and for fun, I sometimes break out old Hungarian pop songs. A tricky choice. But I would say Tori Amos. Her music has such range and I "found" her as a teenager and became obsessed. So there's a lot of nice memories connected to her songs. Plus, the songs grow with you and they change meaning as you get older. How would you describe A love worth falling for, your song for the contest? On the surface it's "just" a love song. It's about when love and desire are worth consequences and risks, worth of it all because of what it brings. It can be more than romance though. I saw this relationship, related to certain events from modern history, where there's been this quest for freedom or rights, events when there's often been a price to it - but it was worth it. I'm a history nerd so there's some hidden references that I hear in the song and think about while performing it, yet it IS a love story first and foremost. Eurovision - the big one - has a been a dream of mine for, well, basically as long as I can remember. I started working in Romania about four years ago, as a guide, and got hooked. I knew I wanted to spend time here. So when the opportunity came to be part of the pre-selections in Eurovision Romania 2017 it was the fastest "yes" in my life. I had such a magical time then, that this year, me (and my songwriting team) decided to only focus on Romania. For me personally, it means a lot to take part in a country that I cherish so much. I'm happy they let me play. You don't know this yet, but we've now stumbled into something I could talk about for days. I will now tell you what I tell my tourists. I work in about 10 countries and no matter where we've been, at the end of a tour, I always tell my groups about Romania and why I think they should come visit. Why I don't care if they come with me, with someone else or on their own, the only thing that matters is that they come. Romania is a magical place. As any country, of course it has its issues - and sadly, at least this is true for Scandinavia, most people either think of those issues when they think of Romania - or they have no perception at all. It's a blank space on the map for many. Romania is more than communist rule, revolution, poverty and corruption. So much more. Romania has the most beautiful landscapes you can think of, with rolling green hills, big craggy mountains, gorgeous fresh flowing rivers, fields of blood red poppy flowers and a breathtaking coast. Sprinkled through this landscape you'll find little medieval cities, when talking of Transylvania, founded by Germanic Saxons in the Middle Ages. Most of these cities and villages are so well kept it's like stepping into another time. Then there's the food, the history (I'm particularly fascinated with the Royal Family, whose own story reads like a novel and who have left palaces, like Peles, that are beyond what Disney could dream of) and culture. But what have made me take Romanian lessons and really plant roots here is the people. I work in really nice countries. I have friends in Poland and in Hungary. Yet there's no other country where I have felt so instantly welcomed as in Romania. The people here are outstanding when it comes to showing appreciation and openness. You befriend people easily here. There's this sense of being genuine and wanting to help you out. And that - is something special. It's become part of my DNA to talk to people about Romania. When I'm part of Eurovision Romania. When I'm tour guiding. And just when I'm among friends. Of course I'd love for Eurovision to expand creatively as it always does, yet I hope it will always keep some very vital elements. What I adore about Eurovision is the mix of languages, cultures, ethnicities, religions and expressions. And that everything is allowed - you can be a dark brooding poet type of singer or a full drag queen sparkling kind of performer. It's glitter, fire, high heels, short skirts, crazy lyrics and deep lyrics, rock, pop, ballads and completely strange music - there's everything. It reminds me of carnivals, it's larger than life - and very accepting. That's the essence and I really want to see that this is the core that Eurovision always will hold. By being open to the idea of it and enjoying every single little second of this ride. Because let me tell you, it's a wild ride - and a really really good one. Lina, thank you very much for the sharing of all that knowledge! We wish you the best of luck for this Sunday!